Discover… Topsider Resort Located in the Florida Keys just 75 miles south of Miami this centrally located tropical resort offers everything you need to enjoy the fun and beauty the Florida Keys have to offer. 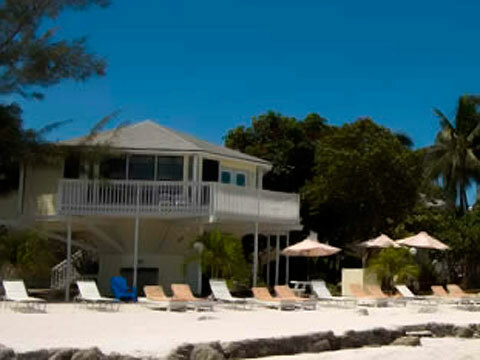 Topsider consists of 20 fully furnished octagon shaped stilt homes nestled in a lush tropical setting facing the bay. Each unit is two bedroom, two bath, living room and full kitchen. Downstairs you have your own storage/laundry room with a full size washer and dryer. On site there is a heated swimming pool, Jacuzzi, tennis court and two shuffle board courts. There is a play ground area with swings and slide for the kids. Bicycles as well as kayaks and canoes are also here ready for your enjoyment! Topsider has its own boat ramp that guest can use at no charge. Of course we can’t forget Topsider’s famous pier. This “T” shaped pier jets out into the bay 180 feet giving those with boats plenty of room for docking and those who don’t a great place to fish from. It’s also the perfect place for everyone to enjoy those fabulous Florida Keys sunsets. So please take a moment to explore the site and see all the wonderful things that are available to you here at Topsider and the Florida Keys.